Wolf Pen Woods Homes for Sale | Prospect, Kentucky | Wolf Pen Woods Real Estate | Louisville MLS | Joe Hayden Realtor - Your Real Estate Expert! 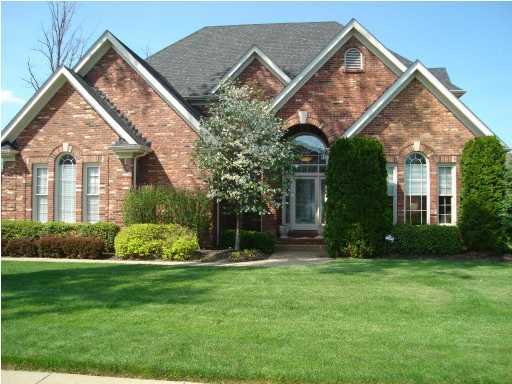 View all Wolf Pen Woods Homes for Sale on the Louisville MLS listings below! Wolf Pen Woods real estate is located off of Wolf Pen Branch Road near US 42 and the Gene Snyder Freeway in Prospect, Kentucky. The subdivision of Wolf Pen Woods was developed approximately 15 years ago and features newer, upscale custom-built homes designed to cater to discriminating home buyers. The neighborhood is relatively small compared to others in the area, though that is not a negative because it still has many of the features and characteristics of larger neighborhoods and the location is fantastic. If you are considering buying a home in Eastern Jefferson County to be near Prospect, give consideration to a home in Wolf Pen Woods. Homes for sale in Wolf Pen Woods are typically priced from $300,000 to over $425,000. Because the homes in Wolf Pen Woods are usually custom-built by a stable of talented builders you will find that each home exhibits a unique charm that helps give the neighborhood character. Being newer modern homes, you can expect the usual conveniences such as high ceilings, open floor plans, high-quality cabinets, rich hardwood flooring, intricate crown molding, plus other features that help to make the homes distinctive. Most of the homes are constructed with full basements and at least a two-car attached garage, plus many of the homes will have four bedrooms and three bathrooms. Living in Wolf Pen Woods places you in a perfect location to enjoy everything that Prospect and Louisville has to offer residents. In just minutes you can find yourself on the Gene Snyder Freeway and Interstate 71, which means if you need to travel for work or play your drive time will be reasonable. In addition, you are very close to the Springhurst area which is very convenient for residents to do basic shopping or take in a relaxing movie. You can also track down a tasty meal very quickly from a home in Wolf Pen Woods by going to a restaurant such as Cheddars. Home buyers who want a convenient location, quality construction in a newer home, plus all of the benefits of living in Prospect should give consideration to a Home for Sale in Wolf Pen Woods. You can search the Louisville MLS listings below for real estate in Wolf Pen Woods, plus you can also research other neighborhood features and information.